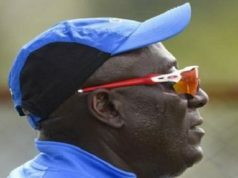 Defending champions West Indies will open the defense of their title against New Zealand in the highly anticipated edition of next year’s men’s Twenty20 World Cup in Australia. In the fixtures released yesterday by the International Cricket Council, the Caribbean side was installed in tough Group 1 alongside the likes of World number-one side Pakistan, powerhouses Australia, and two yet-to-be-determined qualifying teams. Group 2 is headed by powerful India and includes England, South Africa, and Phil Simmons’s Afghanistan, along with two other teams from the qualifiers. Twelve teams will contest the Super 12 first round, with the eight automatic qualifiers joined by four teams from the qualifiers, which will be contested from October 18-23 in Group A and B. The tournament proper will run from October 24th to November 15, 2020, in eight cities and 13 venues, with the Sydney Cricket Ground hosting the opener between Australia and Pakistan on October 24th and the Melbourne Cricket Ground staging the grand final.